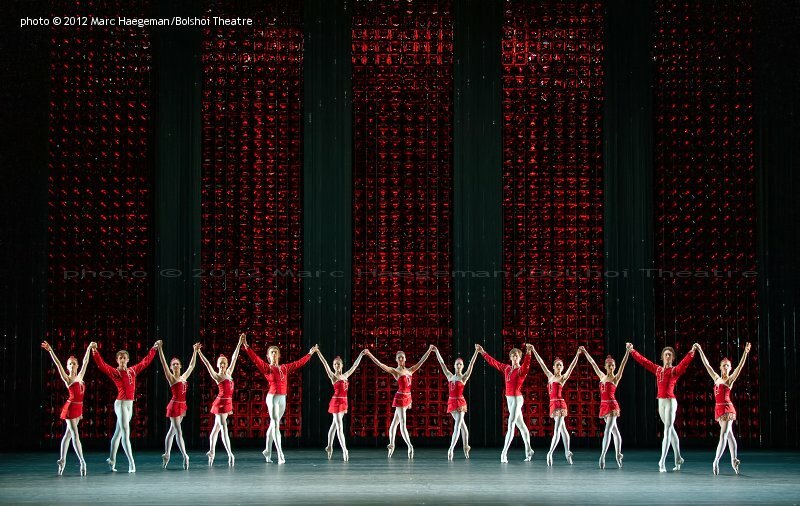 The Bolshoi Ballet acquired George Balanchine's triptych Jewels (1967). 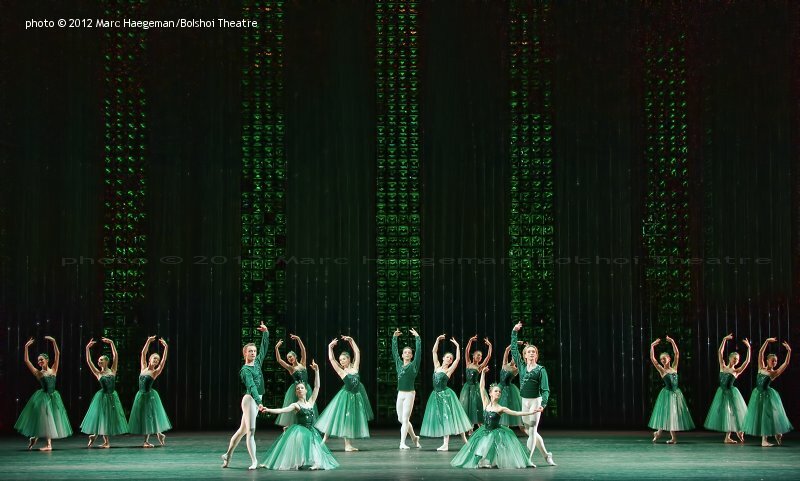 The production was given new sets (by Alyona Pikalova) and costumes (by Elena Zaytseva), and premiered at the Bolshoi Theatre on May 5, 2012. 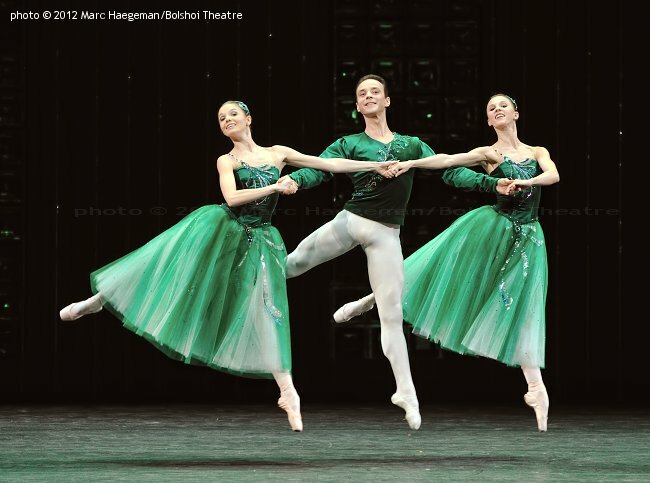 The ballet was staged by Sandra Jennings (Emeralds and Rubies) and by Paul Boos and Merrill Ashley (Diamonds) from the Balanchine Trust. 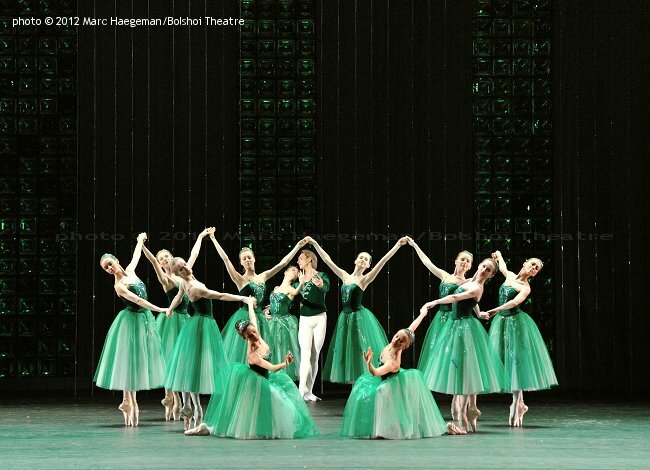 The premiere cast was danced by Evgenia Obraztsova, Vladislav Lantratov, Anna Tikhomirova, Alexander Volchkov (Emeralds), Ekaterina Krysanova, Vyacheslav Lopatin, Ekaterina Shipulina (Rubies), Olga Smirnova and Semyon Chudin (Diamonds). 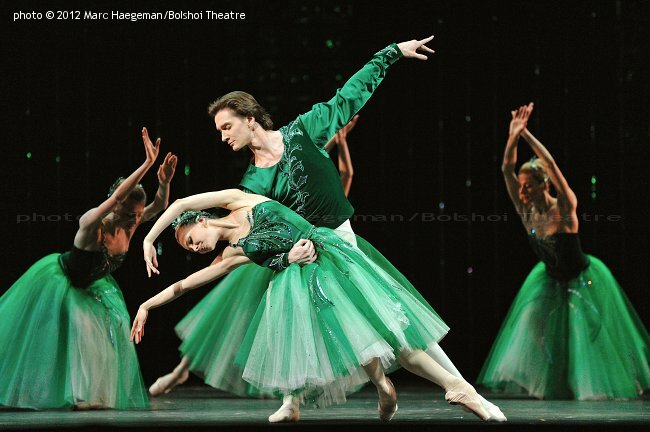 A second cast included Anastasia Stashkevich, Dmitry Gudanov, Anna Tikhomirova, Yuri Baranov (Emeralds), Nina Kaptsova, Andrei Bolotin, Yulia Grebenshchikova (Rubies), Ekaterina Krysanova and Alexander Volchkov (Diamonds). Photos with kind permission of Katya Novikova, head of the press at the Bolshoi Theatre. 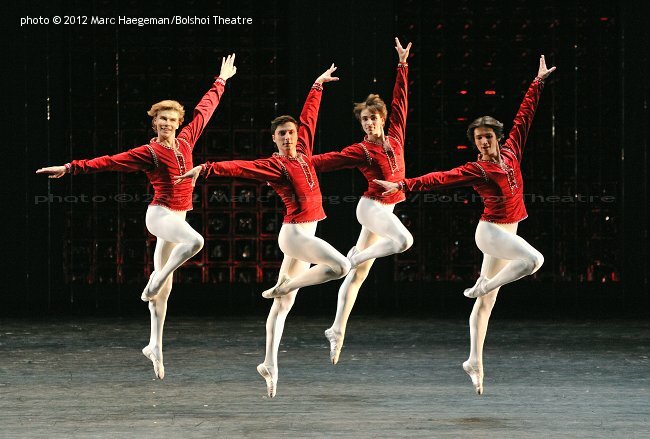 Copyright © 2012 by Marc Haegeman @ Bolshoi Theatre. All Rights Reserved.